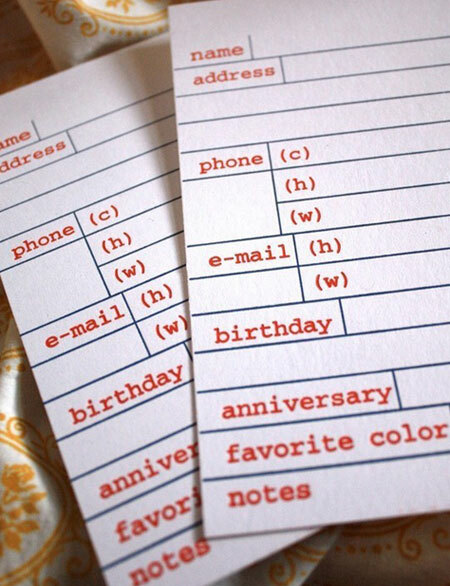 In this digital age, your wedding may be the only time you ever need to ask your friends and family for their mailing addresses. It can be a somewhat tedious task, especially if you have a large guest list. A new website called Postable aims to make that job much easier and is free of charge. Signing up takes barely a minute and this creates a personal url that you can copy and email to your wedding guests. Using your personal link, your guests enter their mailing addresses and an address book is populated for you. When you log back into your account, you can export the addresses to Excel, or as a CSV file for Gmail, your Apple address book, or your Microsoft Outlook address book. The nice format in Excel also means you can pass this on to your wedding stationery designer with little additional work. Postable even gives you an option to print the address labels yourself. What a great idea!